My sister Carolyn’s in the midst of writing a review and mini-analyses of all the Stepford movies/tv movies/remake. In her travels and research, she’s come across an interesting tidbit. 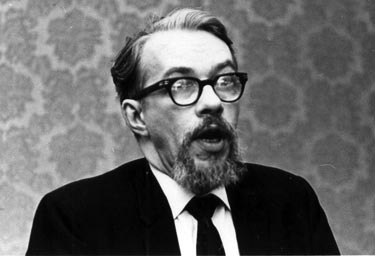 Long long before Ira Levin’s original novella The Stepford Wives in 1972, science fiction writer Lester del Rey wrote a short story about a robotic wife entitled Helen O’ Loy. The story was published in 1938. The story is about two scientist who builds a wife that cooks and cleans. It turns out she’s very good at what she does, but since it was in the early stages of development, she was smothering the man she was with. But as things progressed, Helen realizes how much she wants to be a wife and a human (in that order). The men try to pull the plug, but at the last moment, one decides he couldn’t do it, and ends up marrying her. The men age with time, but Helen doesn’t. After he husband dies, she requests the surviving friend to give her an artificial death by way of acid (yikes).